I booked myself in the minute registrations opened! I love crafty weekends away. I love the Yarra Valley. I love meeting up with talented fellow crafters. The Craft Session is the brain-child of Felicia Semple, a very talented knitter (username ‘FlickaFish’ on Pinterest and Ravely). I’ve given my preferences for workshops I’d like to do, and I hope I get my first choices, but regardless, I’ll be equally delighted with my second and even my third choices, if it came to that. For Saturday, I’ve asked to do the Wiksten Tank Sewing class. Sophie Parslow from Cirque Du Bebe is teaching the class, and even though I have made tank tops before, I’m really looking forward to spending the day with Sophie, and gleaning every bit of technical and creative inspiration I can from her. 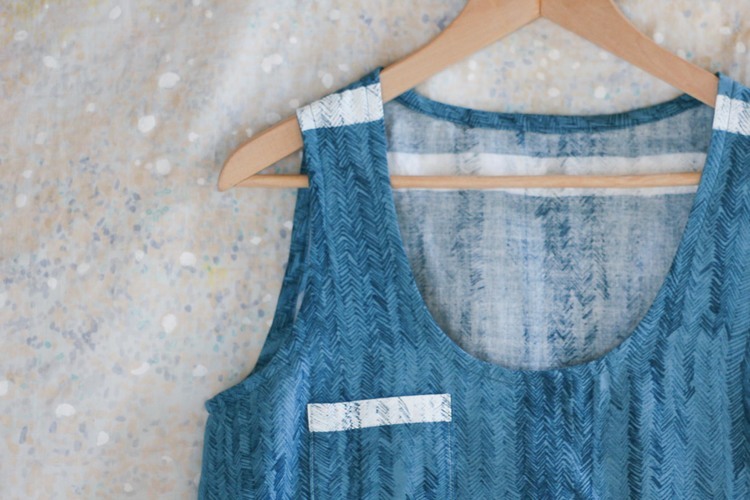 This class goes all day, so I should come away with a beautiful tank top, and heaps of fabulous notes, as well as the ability to do a beautiful, professional turned hem! Never have been able to master that one, so I’m pumped. Sunday is going to be a fun day with two classes, one in the morning, another in the afternoon. The morning will be spent with the wonderful Melissa Wastney of the Tiny Happy blog, who’s teaching the Embroidery – Modern Sampler class. Yes, I’ve embroidered before, eg. here and here, but I’m told that Melissa will be catering for all skill levels in her class, so I’m really looking forward to it. I love to embroider, and am keenly looking forward to learning more techniques to augment my skills. 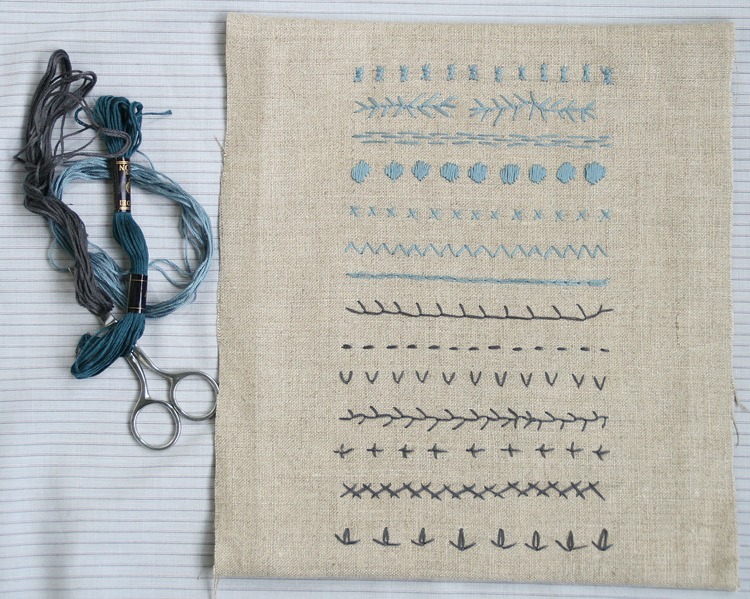 In the afternoon, I’ll be doing the Block Printing on Fabric class with Leslie Keating. I love her blog! I have followed another fabric block print rockstar, Geninne’s Art Blog, religiously now for ages and ages, and I’ve often thought about trying my hand with the Speedball lino, but just never really got to first base with it – which actually means that I’ve not bought any of it. So when I saw this class listed, I knew this was for me. I’m also rather partial to Leslie’s stamped fabrics that she sells in her Etsy store, maze & vale. So, that’s what I’ll be doing on that October weekend. As well as taking part in early morning yoga session, enjoying a drink or two and indulging in that fabulous thing that happens when crafting women get together in a fabulous countryside location. Can’t wait! Do let me know if you’re also going, won’t you?